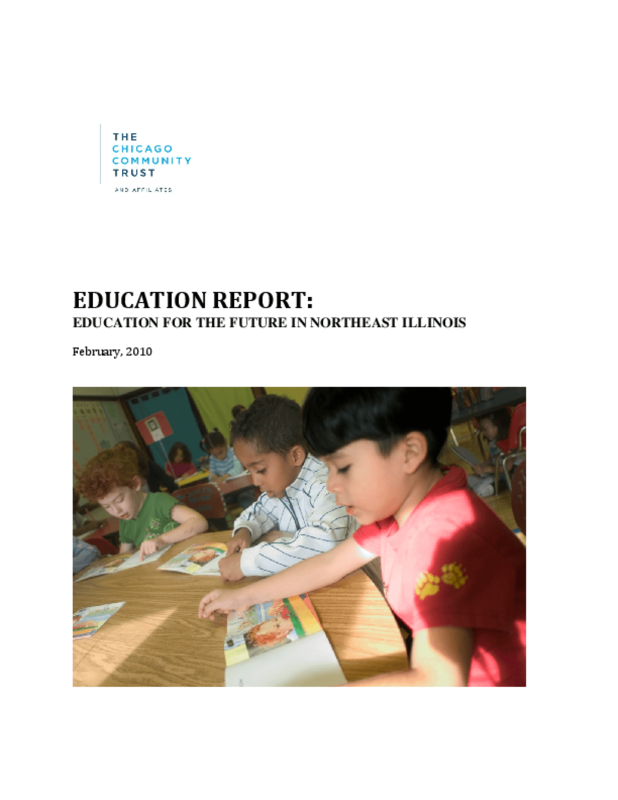 This report represents a summary of the work of three expert advisory groups that worked from August 2008 through May 2009 to identify and prioritize educational needs in the region, recommend strategies for improvement, and review key indicators that might be used to track the region's progress over time. Their work was commissioned by The Chicago Community Trust to support the 2040 comprehensive regional planning effort led by the Chicago Metropolitan Agency for Planning. The expert advisory committees represent three levels of education: Birth to Age 5 (0-5), Kindergarten to 12th grade (K-12), and Higher Education. Each committee was convened by one or more lead agencies.